Happiness is: A sunny afternoon, a fat bike, and a 100 miles of challenging but beautiful trails in the White Mountains 100. There’s no such thing as an off-season thanks to winter endurance racing. Arrowhead 135: A 135-mile race in northern Minnesota’s Superior National Forest enters its ninth year of enticing skiers, cyclists and runners from all over the world to visit the icebox of the Lower 48 states, International Falls. This race is known for its reliably frigid conditions and challenging terrain, including a lot more steep climbs than one would expect to find in a midwestern state. The race begins Jan. 27 and has a 60-hour cutoff. Registration for rookies begins Oct. 1 and the race is expected to fill up quickly. Learn more at http://www.arrowheadultra.com/index.php. Iditasport: Billy Koitzsch, a longtime fixture in the Alaska fat-biking scene, is reviving the iconic event that started it all — the 200-mile Iditasport Alaska Endurance Race. 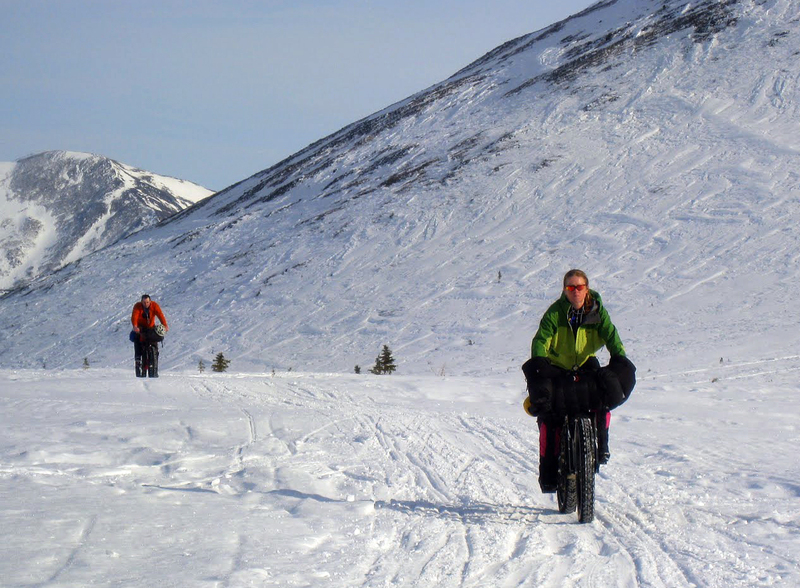 The Iditasport first launched as a ski event in 1983 and added bikes into the mix in 1988, following the Iditarod Trail on an out-and-back journey along the Yentna River to a remote outpost called Skwentna Roadhouse. The 200-mile course hasn’t been used since 1990, and the Iditasport organization dissolved in 2001. Koitzsch’s event brings back that 1980s flavor with the original course under the original name. The 2014 Iditasport is a multi-sport event with ski, bike, and foot divisions. The 200-mile event begins on Feb. 7 and has a 72-hour cutoff. There is also a 100-kilometer event that begins Feb. 8 and has a 24-hour cutoff. It’s important to note that the cut-offs are the same for all divisions, so runners might find the 200-mile event especially challenging, as 72 hours is a fairly tight cut-off for 200 miles of sled-dragging on soft trails. But it’s a worthy adventure on a historic course. 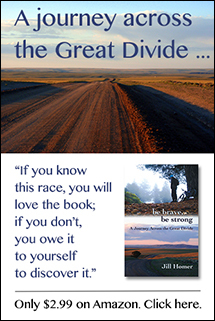 Learn more about the race at http://iditasportalaska.com. Susitna 100: After a one-year hiatus, the 100-mile race in Alaska’s Susitna Valley is back with a completely new course. A need to find new checkpoints forced race organizers to reroute the course farther north. While the original course largely followed the Iditarod Trail, the new course utilizes mushing and snowmobile trails along the Susitna River and Nancy Lakes Recreation Area. From the map, it looks like it will be a beautiful, although likely more challenging route that the original course. As with other races, there is a ski, bike, and foot division, all with a 48-hour cutoff. The 2014 Susitna 100 and Little Su 50K will be held Feb. 15 to 17 starting in Big Lake, Alaska. Sign-ups are going on now through Nov. 1. Learn more at http://www.susitna100.com. Homer Epic 100K: This 100-kilometer journey above the shimmering waters of Kachemak Bay follows groomed snowmobile and cross-country-ski trails in the hills above Homer, Alaska. On a clear day, racers can see stunning views of Cook Inlet volcanoes and the rugged skyline of the Kenai Mountains. Thanks to meticulous grooming procedures by the local snowmobile group, Snowmads, the ski, bike, and foot event all but promises great trail conditions. This makes the Homer Epic an especially good choice for fat bikers looking for their first winter endurance event. Good trail conditions aren’t to be confused with easy, though — the course is relentlessly hilly, with more than 6,000 feet of climbing in 100 kilometers. That statistic won’t sound like much to summer racers, but the friction that snow creates adds up to a lot of effort. The race begins March 15 in Homer, Alaska, and has a 24-hour cutoff. Learn more at http://kachemaknordicskiclub.org/2012-13-events-calendar/homer-epic-100k. White Mountains 100: The White Mountains 100 in Fairbanks is a terrible race. It’s the worst race ever. You will hate it. Don’t sign up. Okay, that’s a lie. The White Mountains 100 is an amazing race — scenic, challenging, and well-organized with tasty food and friendly faces. It’s no wonder there’s a lottery for this event, which due to BLM permitting issues can only allow 65 entrants. I like to sign up for this race and would rather not have any more competition for the lottery, but I can’t lie — this 100-mile loop over rolling hills beside the jagged limestone cliffs of the White Mountains is fantastic fun. The skilled race organizers at Endurance North earn extra points for holding this event on a date that’s officially part of the spring season. While it can still be frigid in Fairbanks in late March (in 2010 temperatures dropped to 25 below zero), there is seemingly limitless daylight compared to other winter races in the north. The race starts March 30. Sign-ups for the lottery are being held through Oct. 15. Learn more at http://wm100.endurancenorth.org. Good list. So many other great races too. I’d definitely add Yukon Arctic Ultra to the list. Have done it the past two years and loved it. Interested in other races like Tuscobia as well. Thanks Derrick. I’m going to have to write a second list with races that I missed, including a couple in Europe. Agree that Tuscobia is an intriguing race. If you have any more suggestions let me know. My criteria was races that people can still sign up for this fall (which doesn’t include the Iditarod Trail Invitational) and are endurance races — ideally 50 miles or more.